Yes, home is where the heart is and as of this summer, we are proud homeowners in Austin, Texas! 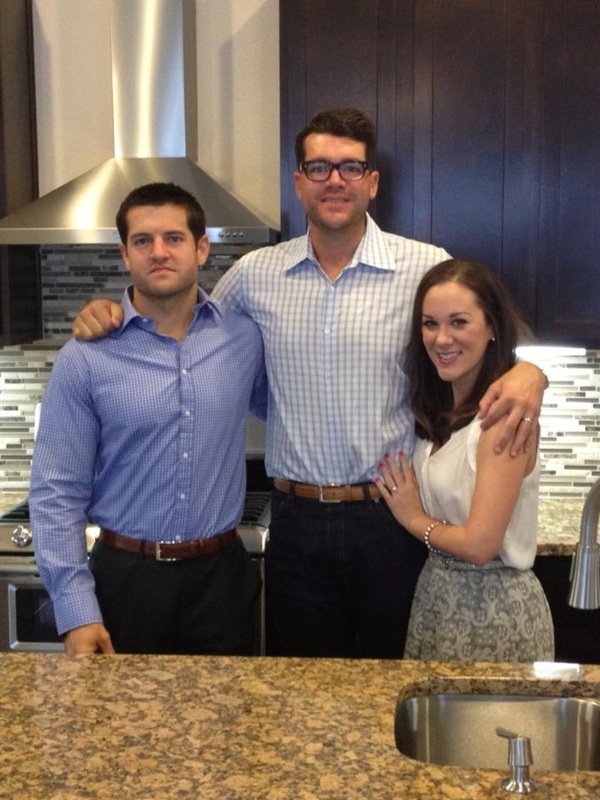 The shot above is us at the final walk-through with our realtor and friend, Michael Harrell. We sold ourselves on a new construction three-level townhome in the heart of South Austin’s 78704. Our area is called SoLa (short for South Lamar) and the street is blowing up with new development. Although we had to weather construction and closing delays, we couldn’t be happier with this property…it’s perfect for us! For the last year & a half we’ve lived about 2 miles north at the Gables Park Plaza. 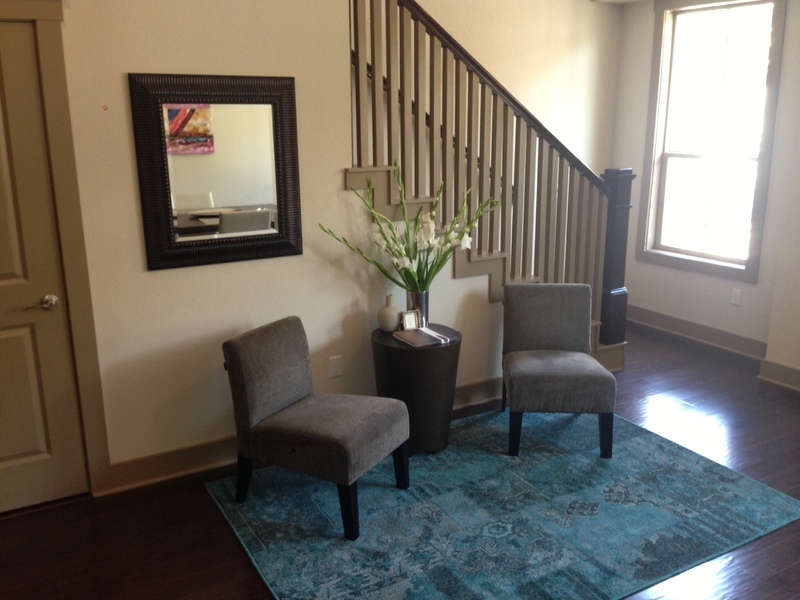 I will miss the convenience of downtown living and am so happy we chose to rent at first. I have crazy fun memories of living there…the friends I made, the resident events, the rooftop pool & gym, etc. 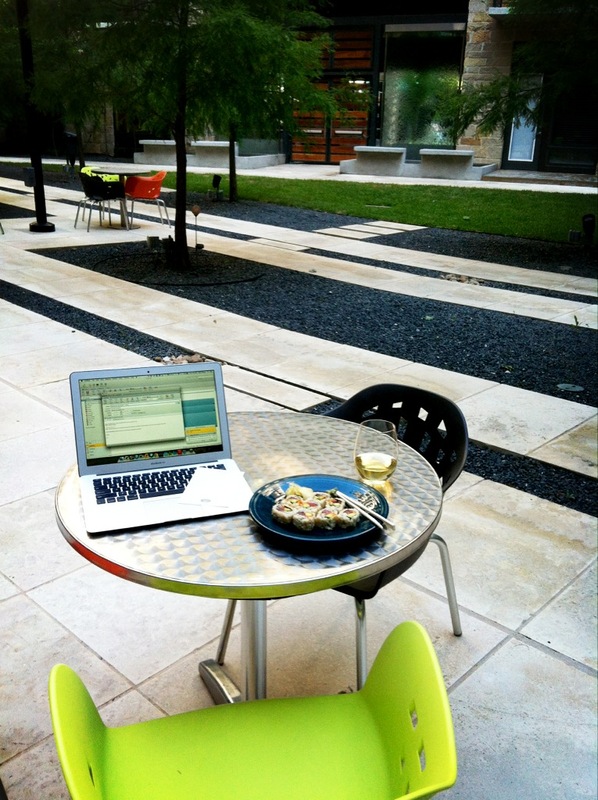 I came across this photo on my phone — the building’s courtyard provided a tranquil setting for answering emails in the afternoon and reading with a cup of coffee in the mornings. Late May/June was quite busy, with our anniversary trip to Paris, my 31st birthday, and then the move…we are only just now settling down. I am still working for fun part-time at Anthropologie (been there since April 2012) but I also have to share my latest news involving a publication called InFluential Magazine… So, I met the publisher at a fashion show, gave him my Blog Joie De Vivre biz card (printed them up b/c no one can spell it) and viola! –an opportunity came about to write an article in their July/August issue. Here’s a link to my article — it’s about clutch purses but even dudes have said it’s interesting, so just go ahead and check it out! 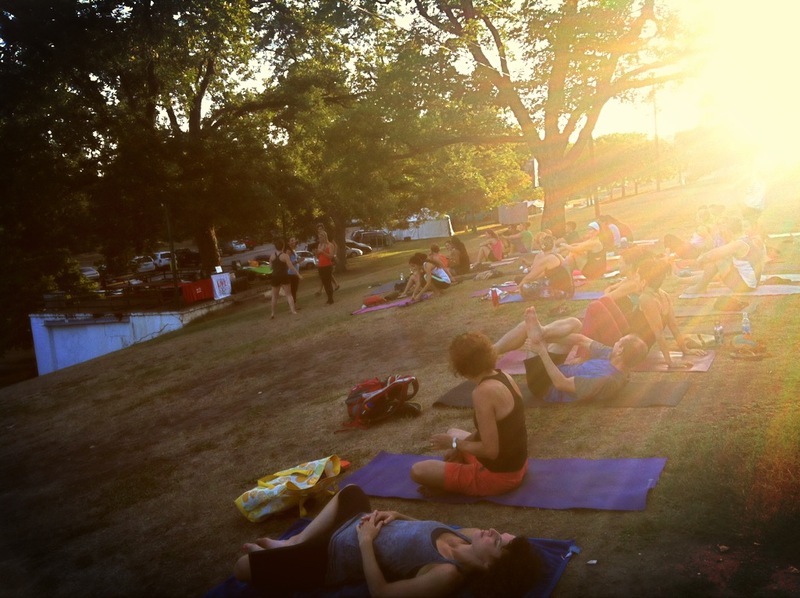 Captured this enchanting evening at Lululemon’s outdoor yoga class at Barton Springs Pool, catered by My Fit Foods & KIND bar. Free and weekly and awesome…yep!